Inspired by the new French Market Cookbook by Clotilde Dusoulier, featuring what’s ripe and in season to create vegetarian recipes with a French twist (many of which are gluten-free and dairy-free), we’re making Caviar d’Aubergine aux Olives Noires this week. Doesn’t that sound decadent and impressive? Whether you’re a culinary king, a Calgarian, or a Canadian, there’s something to celebrate this weekend with our 5th Annual Chili Cook-Off here at the market, the Calgary Stampede, and National BBQ Day. And because each of those events comes with its own set of indulgences, we decided to offer a lighter recipe that can be added to any dinner party or backyard BBQ to impress your guests. Eggplant is that vegetable. The one you dreaded as a child, the one that hits the table for a special occasion but is loved by few, the one that’s pigeon-holed for being difficult to perfect. But, eggplant is also beautiful and silky and healthy. And this recipe is wildly easy and delicious too! Roasting is a foolproof method for cooking eggplants, but with the heat of our summer and BBQing in our blood, we’re going to throw these on the grill. Clotilde Dusoulier purées the flesh of her roasted eggplant to a “marvelously silky spread to serve with slices of baguette, on sandwiches as a spread, or even on a bowl of warm rice”. 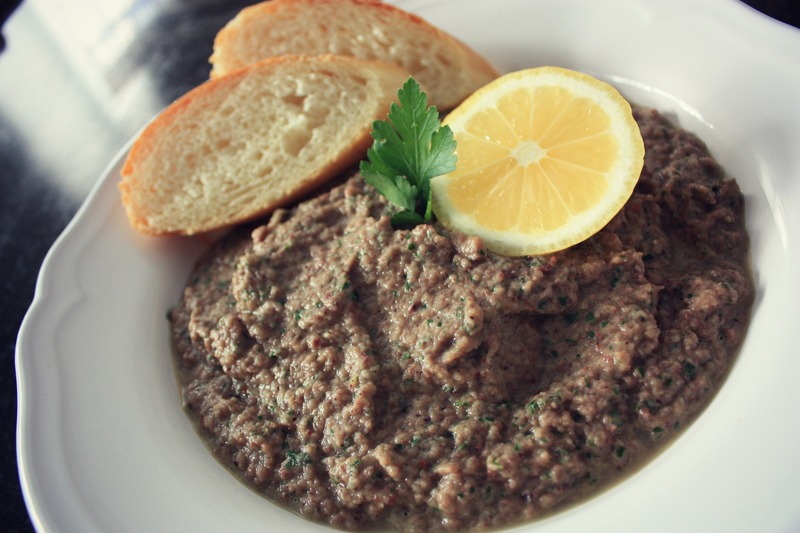 We think this tapenade-style delight would be marvelous on quinoa, warm pasta, pita, or even as a vegetable dip. 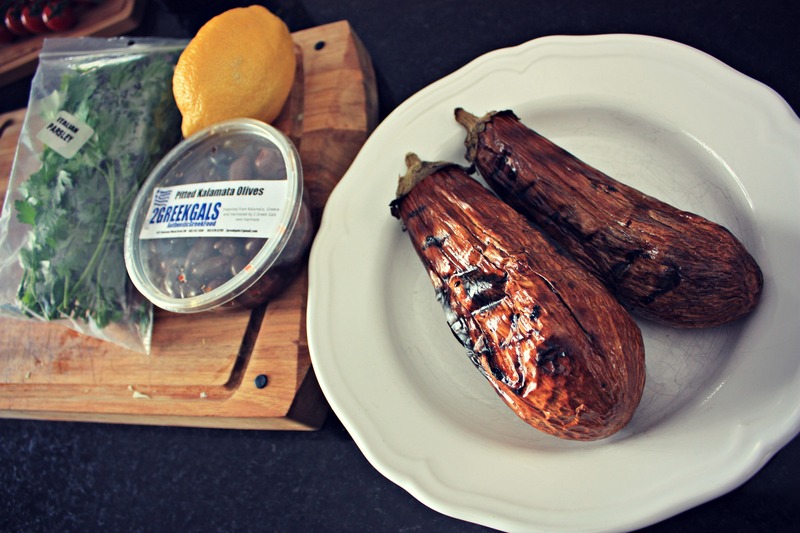 Roast or grill the eggplants a few hours in advance. Use a knife to pierce half a dozen slits in each eggplant and stuff with the garlic slivers. Oil each eggplant and season with sea salt and pepper. Roast at 350°F, flipping them to prevent burning, until completely soft, about 45 minutes. Set aside to cool completely. 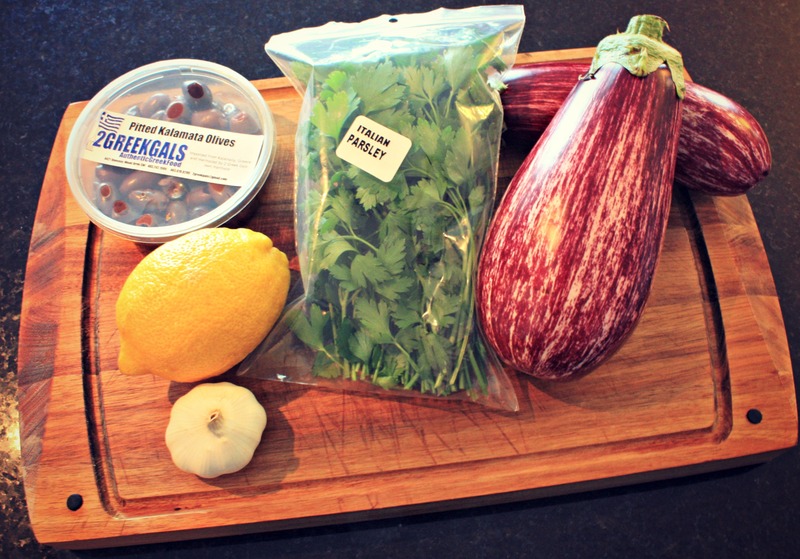 Halve the eggplants lengthwise and with a tablespoon, scoop out as much flesh as possible with the garlic cloves. It’s ok if a little skin comes with it. 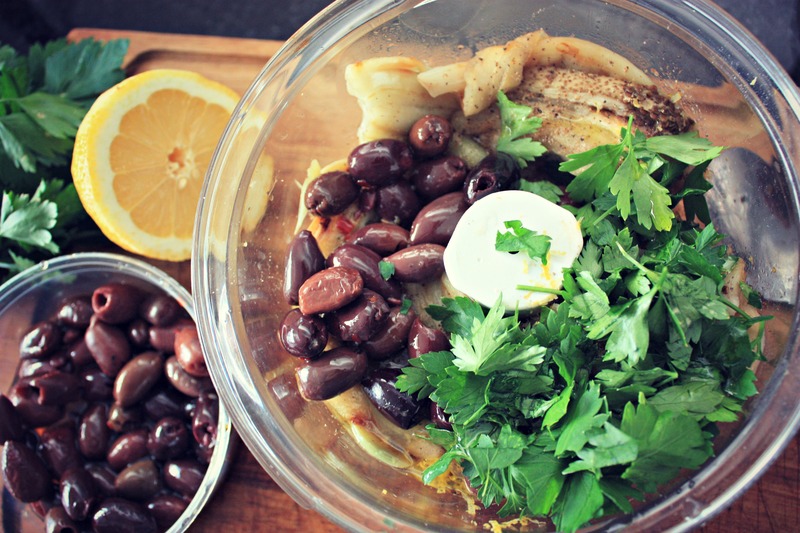 Put it all in a food processor or a blender, adding the olives, the juice and zest of one lemon, 2 tablespoons of olive oil, sea salt and freshly ground pepper to taste, and a dash of your favorite hot sauce (if that’s the way you roll). We added Marash Chili flakes from The Silk Road Spice Merchant for their slow heat and slight acidity. Process until smooth. Taste and adjust the seasoning to wow your family and friends. Dollop on fresh baguette; we prefer the bread grilled to give that crunch to balance out the silky eggplant. Tip: younger, smaller eggplants which are sweeter are preferable. Regardless of the size, pick eggplants that feel heavy, have a smooth and shiny skin, and a stem-end “hat” that looks green and fresh.